home / Multimedia / The Holy Land in news / Bethlehem back in time! The place where Jesus was born as you .. This Christmas we bring you to Bethlehem. But not only: we will bring you to the Bethlehem of 2000 years ago. Don’t you believe it? We will amaze you. We have just finished preparing “Bethlehem back in time“, an extraordinary product, the result of meticulous work that lasted years of research. We have already talked about it. On our newspaper we published the research conducted by our collaborator Raffaella Zardoni, and today it is time to show it to us. 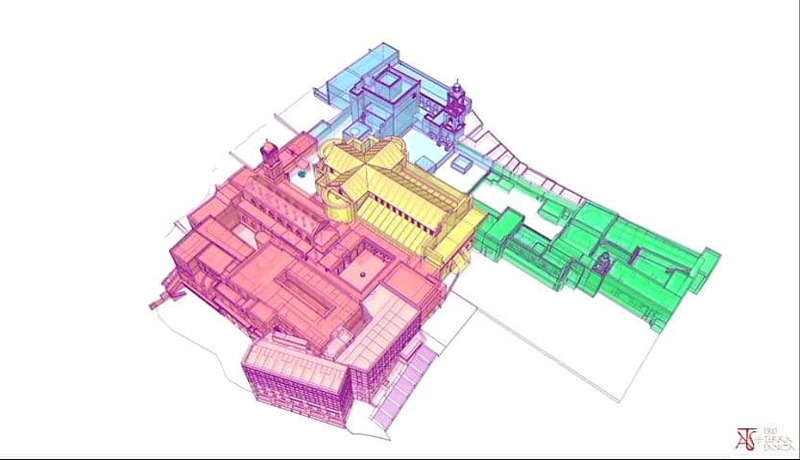 Thanks to the precious collaboration of the Studium Biblicum Franciscanum, Dr. Zardoni attempted to reconstruct all the changes that the place of Jesus’ birth has undergone until today. He did it taking care of every detail, every aspect that will help you immerse yourself in a millenarian history full of changes. What we propose is a real journey through time: from the first Christmas to today, passing through the caves that have hosted the birth of the Savior up to the monumental complex built today in the small Palestinian town and where three Christian communities live together. This is – it is only right to specify – hypotheses, but they are all corroborated over the years by scrupulous scientific research and authoritative studies. It is a trip you can follow on our website or on our facebook page. Why did we decide to make a product of this kind? 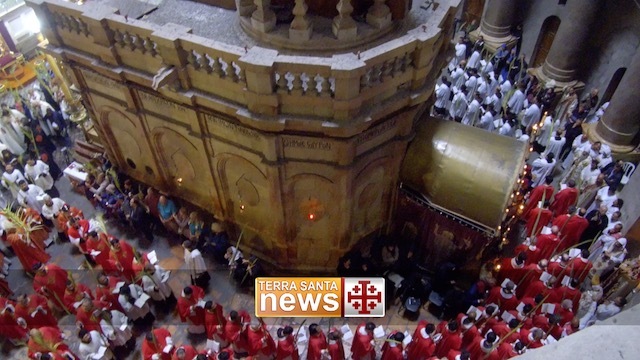 Because we believe that the mission of ATS pro Terra Sancta is also – and above all – this: to create links between the Holy Land and the world. With the videos we will propose to you week by week we will try to take you there, to make you live and breathe the atmosphere of a small place, but where the Salvation of humanity began. St. Francis said that we can not love the Lord without loving the places that the Lord has crossed. Here, “Bethlehem back in time” has just this purpose, combined with a precious and unique academic research of its kind. Thank you, therefore, to Raffaella Zardoni and to all those who helped us to make this product. We are sure you will like it. And now follow us – until Christmas – on this exceptional journey back in time. To live that night that changed the world and empathize with Mary and Joseph, while they watched over that beloved child of God. It will be a way – we hope – to also want a little ‘more good to those places – and the people – that we try to keep.